Crank Sensor Aftermarket - Miata Turbo Forum - Boost cars, acquire cats. Over the months I spent building my forged VVT engine I managed to misplace my crank position sensor. I was tinkering with it because I planned to add a trigger wheel on my 1.6 but was quickly disappointed when I realized that i had the wrong oil pump for mounting the sensor. I spent the entire day today cleaning my garage hoping that it would turn up along that process but to no avail (at least something good came out of it). Needless to say I am pretty disappointed with myself as this is a expense that could have easily been avoided with a tad bit of tidiness. I told myself that if it didn't turn up today while cleaning my garage I would bite the bullet and fork out the dough in getting a new crank sensor. Upon looking into these sensors I saw that they varied from $10-$100. So, for those of you who have had to replace you crank sensor, which brand did you buy? Is it lasting as long if not longer than OEM? I source mine through my work’s world pac account, not sure of the brand but I’ve never had issues. I think they’re $125. You could always try used. I think they’re $125. You could always try used. You're talking about the bog standard NB style sensor aren't you? Last one I bought, only a month ago, was $62 Australian, so $45us give or take. There's the OEM equivalent that Mazda use now, for an NB8A. 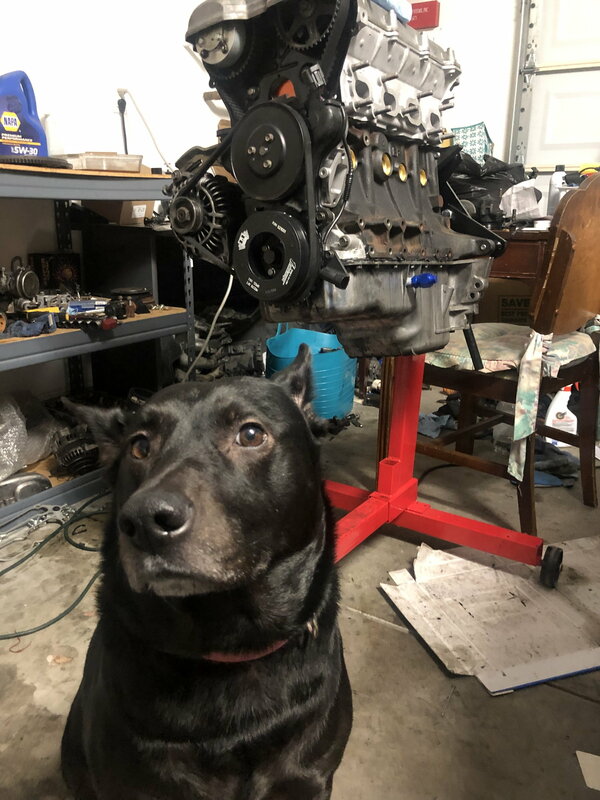 You'll need to double chekc your parts cat to make sure the VVT part # is the same. Found that damn sensor! Turns out it was in the bucket of parts I had from disassembling the engine... I swear I had checked that bucket multiple times and hadn't seen it in there. I think that I found the culprit. Gut feeling tells me she was hiding it from me this whole time.